I finally moved in and I finished the renovation of the new apartment. 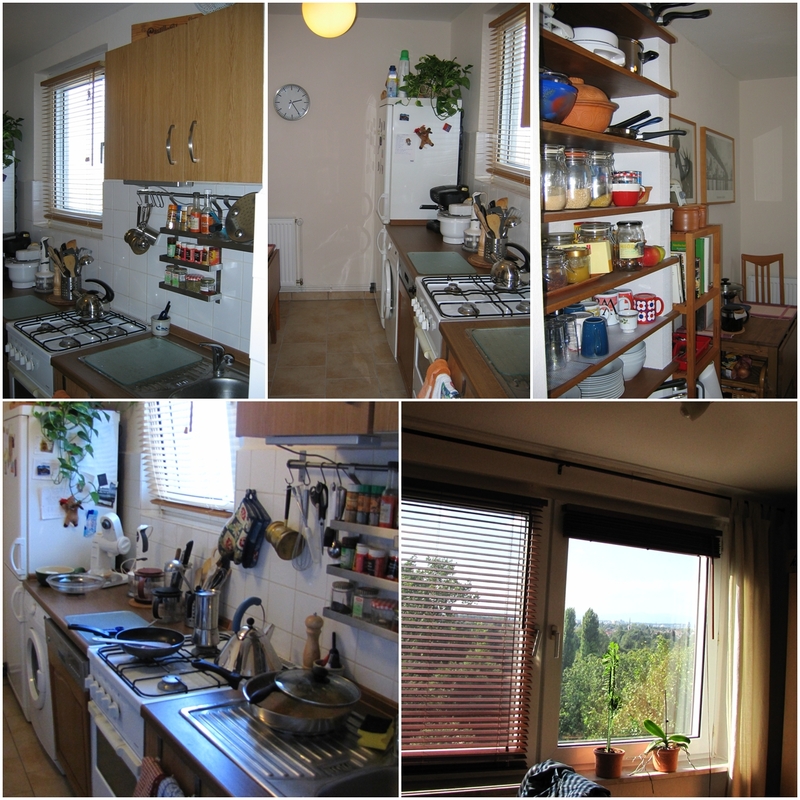 Here are some pictures of my little kitchen which is 8m² (86 ft²) small. I like it because it is not open space and I can close the door while cooking since there is no possibility to install an exhaust hood. It has a window and I was able to place there all the important home appliances like a dish washer, washing machine and a big refrigerator as well a little IKEA table I can open or cave in (great idea) and a big ceiling high rack for my kitchen stuff on the opposite wall. But the most happy I am about having a gas oven again which is not very common in German flats nowadays (I can not understand why they say here that cooking with gas is outdated and everyone switches to induction or electric cooking). I needed a special permission from my landlord and paid the installation fees by myself. But it was worth it.